Dwight Errington Myers, better known by his stage name Heavy D, was born on the 24th May 1967 in Mandeville, Middlesex, Jamaica, and passed away on the 8th November 2011 in Los Angeles, California, USA. He was an American hip hop musician, who was a member of the rap band Heavy D & the Boyz. He was also recognized as an actor, starring in “Roc” (1993), “Boston Public” (2000-2003), “Step Up” (2006), etc. So, have you ever wondered how rich Heavy D was? It was estimated by sources that the overall size of Heavy D’s net worth was $350,000, which was accumulated through his career in the entertainment industry as a rapper and actor. Heavy D was born to Eulahlee Lee, a nurse, and Clifford Vincent Myers, a machine technician; his brother was producer Floyd Myers. During the 1970s, the family moved from Jamaica to Mount Vernon, New York, where he spent his childhood. Heavy D’s career began in the 1980s, founding the rap group Heavy D & The Boyz, consisting of Eddie F, Trouble T Roy, and G-Wiz. Heavy D was the only vocalist in the group, while Eddie F worked as a DJ, and T Roy and G-Wiz were dancers. They signed with the Uptown records in 1986, soon after the label was founded by Andre Harrell, and started working on their debut album which came out in 1987, entitled “Living Large”. The album received quite positive critiques, which only encouraged the members to continue with their musical career. Their second album came out in 1989, “Big Tyme”, which topped the US R&B charts and achieved platinum status. One of their members died in 1990 while they were on a tour, accidentally falling from two stories high ramp, however, the rest of the group continued on, and their third album “Peaceful Journey”, was released in 1991, also achieving platinum status and further increasing Heavy D’s net worth. Heavy D stayed in the group until 1994 and releasing two more albums with them – “Blue Funk” (1993), and “Nuttin` But Love” (1994), which achieved double platinum status. 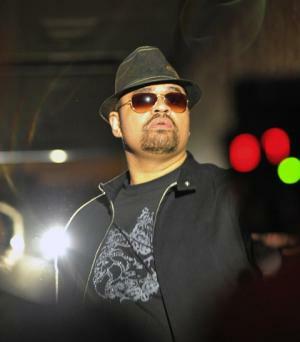 After he left the group he focused on a solo career, and released four albums, including “Waterbed Hev” (1997), “Vibes” (2008), and his latest release “Love Opus” (2011). Apart from his successful career as a musician, Heavy D was also recognized as an actor, which also benefited his net worth. He made his debut appearance in 1990 in an episode of the TV series “Booker”. He then appeared in more than 20 film and TV titles. During the 1990s, he appeared in such productions as “Roc” (1993), “Living Single” (1994-1996), “The Cider House Rules” (1999), among others. All of these appearances contributed to his overall net worth. However, with the beginning of the 2000s, he began to star in more popular TV series and films, starting with a role in the TV series “Boston Public” (2000-2003), and then moving on to the “The Tracy Morgan Show” (2003-2004). He also featured in the TV series “Bones” (2005), and appeared in the film “Step Up”, the same year. Before he died, he made an appearance in the film “Tower Heist” (2011), with such stars as Eddie Murphy and Ben Stiller in lead roles. Speaking about his personal life, Heavy D dated chef Antonia Lofaso, with whom he had a daughter. He passed away from a pulmonary embolism (PE) at the age of 44.